Pan searing or grilling would be the most common way to cook Sea Bass but it would also make a very fine steamed dish. Either way, you will find that they are very delicious! 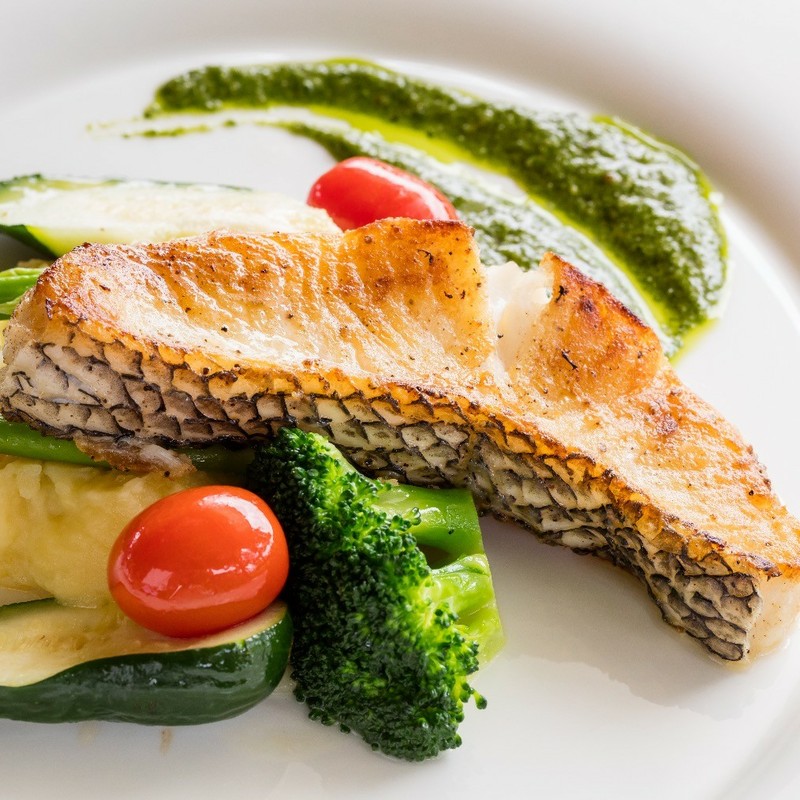 Sea Bass is an item that is very commonly found on the menus of fine dining restaurants. Now you can enjoy it at home at a much fairer price. Note that these Sea Bass are fillet cut and are boneless for easy consumption. Pan searing or grilling would be the most common way to cook Sea Bass but it would also make a very fine steamed dish. Either way, you will find that they are very delicious! Sea Bass is an item that is very commonly found on the menus of fine dining restaurants. Now you can enjoy it at home at a much fairer price. Note that these Sea Bass are fillet cut and are boneless for easy consumption. Please note that although these fillets are supposed to be boneless and is what our supplier purports them to be, sometimes (albeit rarely) there may still be small bones that were missed so we advise all customers to nevertheless take care in checking for bones during preparation, cooking or consumption. Weights listed are only approximate and may have a +/-10% variance (however, this usually means the item weighs a bit more than the listed weight). Please note that the pictures shown are for reference only and may not be an exact representation of the product. Currently, unless specified otherwise, all our meats, seafood and vegetable items come raw and frozen.